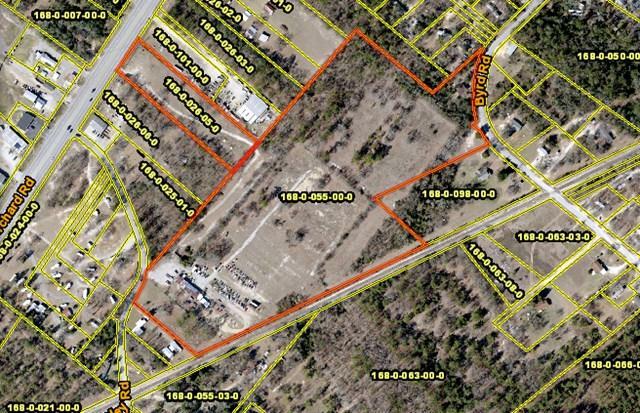 One of a kind- H1/High Industrial zoned in heart of South Augusta! Entrance could be on Peach Orchard or Hensley Road or Byrd Rd. Great for Recycling business! Permit available for widening Peach Orchard driveway entrance. Approximately 30 minutes from Plant Vogtle and approximately 10 minutes from Ft. Gordon. 3810 Hensley Rd. (currently Fulcher's Auto & Body Shop) is part of this, will sell together. Railroad track runs on back of property, they could easily extend area and you pay the fee to use railroad! Available Immediately!